Tsargrad is a Slavic name for the city or land of Constantinople, the capital of the Eastern Roman (Byzantine) Empire, and present-day Istanbul in Turkey. It is rendered in several ways depending on the language, for instance Old Church Slavonic: Цѣсарьградъ; Church Slavonic; Царьгра̀дъ, Russian: Царьгра́д; South Slavic languages: Carigrad or Цариград, depending on their alphabets (or Tsarigrad as an alternative Latin transliteration of Cyrillic); Slovak: Carihrad; Czech: Cařihrad; Polish: Carogród; Ukrainian: Царгород; also Czargrad and Tzargrad; see: Tsar. Tsargrad is an Old Church Slavonic translation of the Greek Βασιλὶς Πόλις. 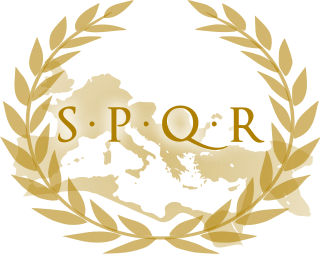 Combining the Slavonic words tsar for "Caesar / Emperor" and grad for "city", it stood for "the City of the Caesar". According to Per Thomsen, the Old Russian form influenced an Old Norse appellation of Constantinople, Miklagard (Мikligarðr). Bulgarians also applied the word to Tarnovgrad (Tsarevgrad Tarnov, "Imperial City of Tarnov"), one of the capitals of the Bulgarian tsars, but after the Balkans fell under Ottoman rule, the Bulgarian word has been used exclusively as another name of Constantinople. After the fall of Constantinople in 1453, the burgeoning Russian Empire began to see itself as the last extension of the Roman Empire, and the force that would resurrect the lost leviathan (Third Rome). This belief was the supported by the Russian Orthodox Church and given at least an air of legitimacy by the marriage of Ivan III to Sophia Palaiologina, a relative of the last Byzantine Emperor. It was allegedly an objective of the Tsars to recapture the city, but despite many southern advances and expansion by the empire, this was never realized owing to the Western interference in the Crimean War. As the zeitgeist which spawned the term has faded, the word Tsargrad is now an archaic term in Russian. It is however still used occasionally in Bulgarian, particularly in a historical context. A major traffic artery in Bulgaria's capital Sofia carries the name Tsarigradsko shose ("Tsarigrad Road"); the road begins as the Tsar Osvoboditel Boulevard and continues into the main highway that leads southeast to Istanbul. The name Tsarigrad is also retained in word groups such as tsarigradsko grozde ("Tsarigrad grapes", meaning "gooseberry"), the dish tsarigradski kyuftentsa ("small Tsarigrad koftas") or sayings like "One can even get to Tsarigrad by asking". In Slovene it is still largely used and often preferred over the official name. People also understand and sometimes use the name Carigrad in Bosnia, Croatia, Montenegro and Serbia. ^ Seznam tujih imen v slovenskem jeziku. Geodetska uprava Republike Slovenije. Ljubljana 2001. p. 18. Boris I, also known as Boris-Mikhail (Michael) and Bogoris, was the ruler of the First Bulgarian Empire in 852–889. At the time of his baptism in 864, Boris was named Michael after his godfather, Emperor Michael III. The historian Steven Runciman called him one of the greatest persons in history. The Bulgarian Orthodox Church is an autocephalous Orthodox Church. It is the oldest Slavic Orthodox Church with some 6 million members in the Republic of Bulgaria and between 1.5 and 2.0 million members in a number of European countries, the Americas, Australia, New Zealand and Asia. It was recognized as an independent Church by the Patriarchate of Constantinople in AD 870, becoming Patriarchate in 918/919. The Bitola inscription is a medieval Bulgarian stone inscription written in Old Church Slavonic with Cyrillic letters. It is now kept at the Institute and Museum of Bitola, North Macedonia among the permanent exhibitions as a significant epigraphic monument, described as "a marble slab with Cyrillic letters of Ivan Vladislav from 1015/17". In the medieval history of Europe, Bulgaria's status as the Bulgarian Empire, wherein it acted as a key regional power occurred in two distinct periods: between the seventh and eleventh centuries, and again between the twelfth and fourteenth centuries. The two "Bulgarian Empires" are not treated as separate entities, but rather as one state restored after a period of Byzantine rule over its territory. Bulgaria is one of the few historic states and nations whose economy and society were never based on slavery, and slavery never played an important role in Bulgarian statehood development and wealth. Bulgarian dialects are the regional spoken varieties of the Bulgarian language, a South Slavic language. Bulgarian dialectology dates to the 1830s and the pioneering work of Neofit Rilski, Bolgarska gramatika. Other notable researchers in this field include Marin Drinov, Konstantin Josef Jireček, Lyubomir Miletich, Aleksandar Teodorov-Balan, Stoyko Stoykov. Medieval Bulgarian coinage are the coins minted by the Bulgarian Emperors during the Middle Ages at the time of the Second Bulgarian Empire. Tsarigradsko shose is the largest boulevard in the capital of Bulgaria, Sofia. The boulevard provides grade-separated dual carriageway in almost its entire length of 11.4 km, running from the north-west to the south-east. It begins in the city center, at Orlov Most, before which it is called Tsar Osvoboditel Boulevard. In its east end, at the Sofia Ring Road, the boulevard becomes part of the Trakia motorway (A1). The maximum allowed speed on Tsarigradsko shose is 80 km/h between Orlov Most and Gorublyane neighbourhood. Saint Clement of Ohrid was a medieval Bulgarian saint, scholar, writer and enlightener of the Slavs. He was one of the most prominent disciples of Saints Cyril and Methodius and is often associated with the creation of the Glagolitic and Cyrillic scripts, especially their popularisation among Christianised Slavs. He was the founder of the Ohrid Literary School and is regarded as a patron of education and language by some Slavic people. He is considered to be the first bishop of the Bulgarian Orthodox Church, one of the seven Apostles of the First Bulgarian Empire and one of the premier saints of modern Bulgaria. Saint Clement is also the patron saint of North Macedonia, the city of Ohrid and the Macedonian Orthodox Church.